If you’re not including video, animation, and other interactive features in your iPhone and iPad designs, you’re missing out on the most innovative aspect of these new devices. Rich media is the catchall phrase of the year — an attempt to give a name to all the ways you can create multimedia content and make it interactive. Among the best services for delivering rich media ads to the iPhone is the AdMob Interactive Video Mobile Ad Unit. Google’s acquisition of this service is a clear sign that Google sees a big future in the mobile video advertising market. 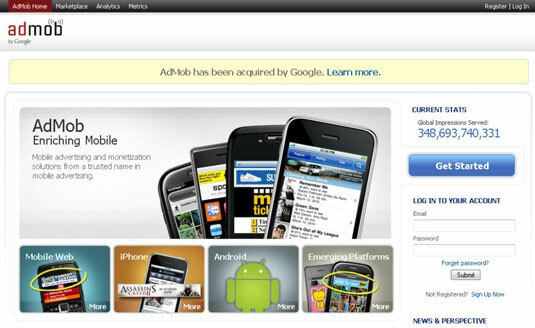 The considerable resources and expertise of Google mean that the AdMob ad product will probably get a wide market rollout. Research by the Nielsen Company predicts that mobile video will grow at the rate of 137 percent per year and that it will comprise the single largest segment of global mobile data usage by 2013. Because advertising travels where the eyeballs are, most major ad agencies are feverishly working to prepare their creative directors and staff to take advantage of this shift. Before you get carried away with video on your iPhone/iPad sites, remember that the bandwidth limitations that come with the mobile web still plague many iPhone users. Even with 3G (and 4G) networks, video can really slow things down. If the connection is broken (a risk on any mobile connection), your visitors may not return to a page that takes too long to download.